Alan Yentob looks at the unique role Jews have played in creating the modern American musical, from Porgy and Bess to West Side Story and Cabaret. For generations of Jewish songwriters, the bright lights of Broadway have been a catalyst for transformation. New York's musical theatres offered a chance for those who had fled persecution and oppression to make it big in America. On Broadway, the idea of outsiders beating the odds could be dramatised in a uniquely American art form, with melodies derived from Jewish prayers inspiring catchy new songs that tens of millions around the world would come to embrace. imagine... looks at the unique role Jews have played in creating the modern American musical, from Porgy and Bess to West Side Story and Cabaret. 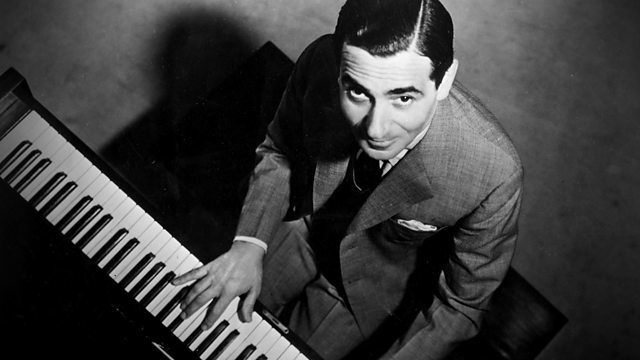 Featuring performances by Broadway's most creative talents, plus a medley of amazing archive footage and interviews, the film explores the work of some of America's pre-eminent musical maestros - including Irving Berlin, Jerome Kern, George and Ira Gershwin, Lorenz Hart, Richard Rodgers, Oscar Hammerstein II, Kurt Weill, Leonard Bernstein, Stephen Sondheim, and Jule Styne. Lyricist: Betty Comden. Lyricist: Adolph Green. Composer: Marc Blitzstein. Lyricist: Bertolt Brecht. Composer: Bertolt Brecht. Composer: Marc Blitzstein.